ROME (AP) — The center-left governor of Rome’s region was chosen in a primary Sunday to lead Italy’s struggling Democratic Party and its bid to reverse slumping popularity. 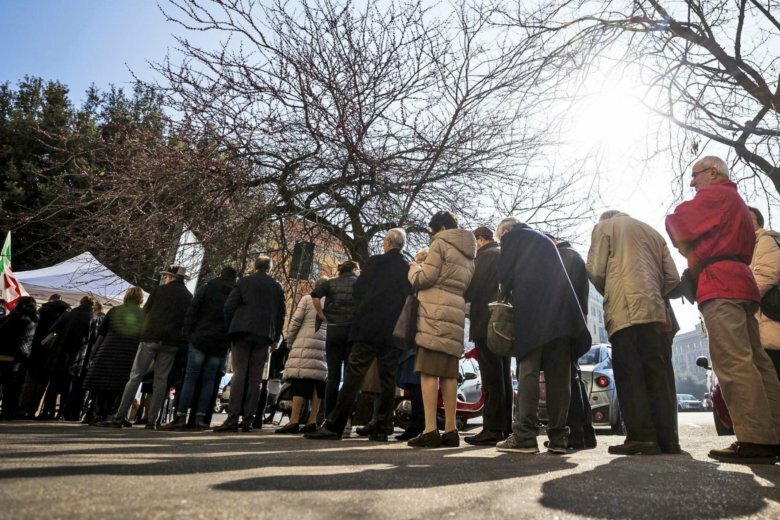 The party said Sunday night that Nicola Zingaretti, Lazio governor, won 65 percent to 70 percent of the more than 1.5 million ballots cast in a daylong primary. A complete tally wasn’t immediately available. Zingaretti had the backing of several former center-left premiers, including Paolo Gentiloni and Romano Prodi. The party lost its five-year-old hold on government in 2018 national elections and has suffered from years of leadership infighting. As the new party secretary, Zingaretti will need to devise a strategy to woo back voters who defected to the populist 5-Star Movement, now Parliament’s largest party. The Democrats are currently Parliament’s largest opposition force. While governing for the first time, the 5-Star Movement’s own leadership has seen internal divisions over policy. Opinion polls indicate the movement has been eclipsed in popularity by its partner in the governing coalition, the right-wing League. Democrats hope to capitalize on the populist government’s failure to revive the economy and refusal to let migrants who are rescued at sea by humanitarian groups disembark in Italy. On the eve of the Democratic Party primary, tens of thousands of people rallied against racism in Milan, Italy’s financial capital. Many Italians fear intolerance and hatred or being fueled by the anti-migrant rhetoric of League leader Matteo Salvini, who serves as interior minister in the coalition government, and other public officials. Zingaretti’s opponents were Maurizio Martina, a former agriculture minister, and Roberto Giachetti, a prominent Rome Democrat. This version corrects spelling to Martina.